If you’ve got a dual-SIM phone. you can use the different SIM cards to make calls using separate numbers, and send texts using different numbers. But did you know that you can set up dual WhatsApp accounts, and use them both on the same phone? you’ll start by installing WhatsApp on your phone via Google Play. After that, you can clone the app in the phone’s settings. After you’ve installed WhatsApp, go to Settings. Tap on Dual Apps. On Honor phones this is called App Twin, and on Oppo, it’s Clone App. You’ll see a list of apps that can work with the feature, and toggles on the side. Turn the toggle on to clone any app. That’s it, you’re done. Check if your manufacturer supports app cloning as well and if yes.Then these steps should work to get a second copy of WhatsApp on your phone. It’s a little different on a Vivo phone, so we’ll just explain that first, and then talk about how to set up the second WhatsApp. Scroll down to find App Clone, and tap it. Now, toggle the switch to enable Display the Clone button. Next, Install WhatsApp on your phone via Google Play. Long press on any app icon. 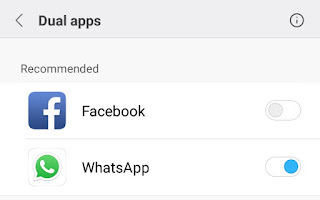 You’ll see a small ‘x’ to remove apps, but some, like WhatsApp, will also have a small ‘+’ symbol. Tap the + to clone WhatsApp on your phone. Okay, so at this point, you should have two copies of WhatsApp on your phone. Here’s what you have to do next. Setting up your second WhatsApp account is extremely simple, just like setting up the first one. In case you’ve got any doubts though, here are the detailed steps. On the next page, tap on Agree and Continue. Next, you can grant files and contacts access to this copy of WhatsApp by tapping Continue and following on-screen instructions, or tap on Not now for now. Now, you have to verify your phone number. This is the crucial part – remember, it has to be the second SIM phone number if you type in you primary number you’re just shifting WhatsApp access from one app to the next. Once you’ve typed in your number, tap Next, then confirm the number by tapping on OK.
WhatsApp will then send a verification code to check the number, which it will auto-read if you’ve granted permissions. Otherwise, just type in the verification number, and you’re good to go. In case you don’t get the SMS, you can also tap the Call button on-screen to get a verification phone call. That’s it – now you’ve got two versions of WhatsApp running on your phone. You’ll be able to send and receive messages using both numbers, so it’s useful if you want to separate your personal usage from your professional usage, for example. You can also use the steps given above to install multiple copies of other apps. If you want two Twitterapps or two Facebook apps on your phone, for personal use and a business account, for example, that’s easy to do following the same steps, except you’d clone those apps instead of WhatsApp, obviously. What if my phone doesn’t support app cloning? 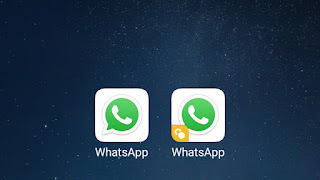 If your phone doesn’t support app cloning, there’s still a couple of ways to go ahead and install a second copy of WhatsApp. You’ll still need a dual-SIM phone, in order to send and receive messages from two accounts. There are a few popular methods that we found online, and the one we thought was best is an app called Parallel Space. You have to first install Parallel Space from Google Play. Once you start the app, it will immediately take you to a Clone Apps page. 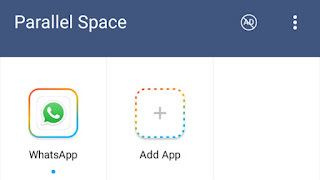 Select all apps you want to clone, and tap the Add to Parallel Space button. Next, you’ll be taken to the parallel space, where the app is run in a virtual install on your phone. Now, continue to set up WhatsApp as described above. Another method which we found on a lot of sites is to install an app called GBWhatsApp, but this involves installing the app via APK, which does have a small element of risk involved. Besides that, it’s only useful for a single scenario, which is running dual WhatsApp account. so we believe that using Parallel Space is a better choice.